Capacity: 200mm stems and thicker branches. 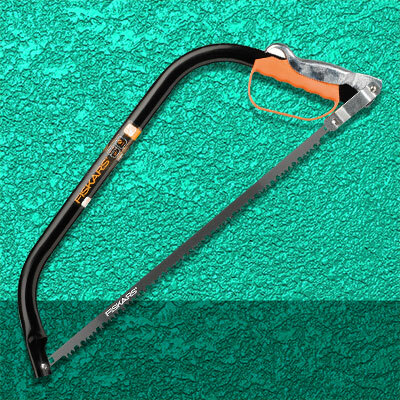 The Fiskars SW31 Bowsaw is ideal for sawing heavier stems, thicker branches and boughs on trees. 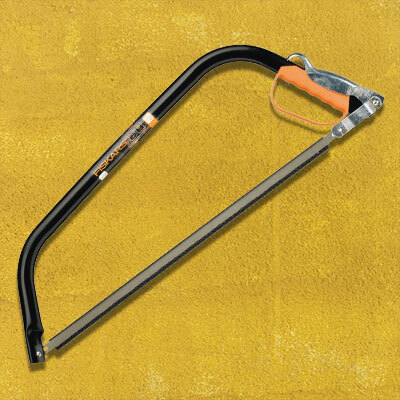 It features a curved nose that enables cutting in hard to reach or difficult positions such as in dense foliage trees and in hedges. This saw cuts on both the push and pull stroke with a unique plane toothing. To protect the person sawing, this comes with a plastic protector for safe transportation around the garden.